Is it a Modular, Mobile or Manufactured Home? A modular home is like a stick-built home but is done so in sections and in a factory setting (controlled environment). The sections are then transported and assembled on the building site. Modular homes cannot be moved once built and they are built on permanent foundation walls of either masonry block, poured concrete or wood. Modular homes are built in compliance with typical building codes just as a stick-built home would be. Mobile homes are the predecessor of manufactured homes but built prior to 1976 prior to the HUD Standards being published. These were generally poorly built and not to either Federal or local standards/codes. Manufactured Homes are built from 1976 and on when the HUD standards became effective. The HUD standards improved the quality, safety, and energy efficiency of the homes. 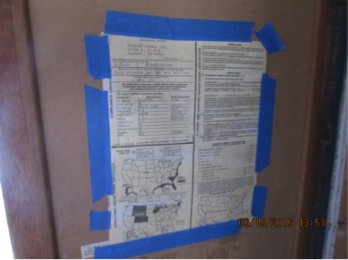 The most recent HUD standards are dated September 1996. 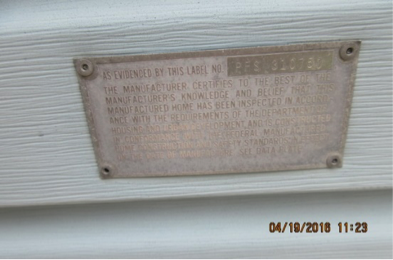 Manufactured homes have exterior certification labels and an interior data plate where Mobile and Modular homes do not. What if My Home was Built Prior to 1976? Homes built prior to June 15, 1976, even with modifications, do not meet the HUD standards and cannot be accepted as compliant with the HUD Code. FHA does not insure mortgages on manufactured homes built prior to June 15, 1976. Most other mortgage insurance firms follow FHA's policy. The current HUD Permanent Foundation Guide for Manufactured housing is dated September of 1996. The guidelines specify many things in regards to the construction of Manufactured Homes. Manufactured Home Construction and Safety Standards mandate federal standards for design, construction, and installation of manufactured homes to assure the quality, durability, safety, and affordability of manufactured homes. The statute generally prohibits selling, leasing, or offering for sale or lease, homes that do not meet the standards. Civil and criminal penalties may be sought for violations of the statute. What is A HUD Permanent Foundation Inspection? That the drainage of the house will not flood the crawlspace or basement. What about Engineering Inspections of Additions? Decks, porches and room additions are regulated by the construction codes for each state and/or local housing authority. If the property has an addition attached after the home was sited, the attachment is not regulated by HUD Standards or Regulations. If an addition has been added to a manufactured home, it may take the home out of conformance with the Standards. How long does it take to get an Engineering Inspection Report? That is dependent upon the inspector you hire. Generally, inspections and reports are turned around in 2 to 3 days. That is dependent upon the inspector you hire. There are two different inspections. The main one is the Permanent Foundation Inspection and the other is for additions, decks, porches, alterations. Your lender will know which of the inspections you will need done. Click here to find your local inspector.